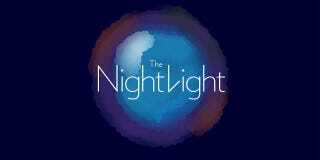 My sister and I have created TheNightLight.com, a guide to the best stuff for your baby and you. We've just deployed our main site, and I'd appreciate it if you'd come bang on it and tell me what you think. Our method is simple: use every resource at our disposal to find the very best baby products, from cribs to bottles to diapers (in progress!). That includes testing, reporting, and researching everything else that's out there. Hilariously, it's basically a process and skill we learned from doing gadget reviews for years. It's surprising how rare that is in other areas outside of technology! We've got all our guides on Kinja, as well, so you can pull out sections and comment. (And we'll be splicing future ones on Gizmodo as they are published.) Our mission is to be 100% confident that our suggestions are the right ones for 90% of parents—and getting there is a continual process of testing, listening to your criticism, and testing again.